Kailea Frederick is a First Nations woman dedicated to supporting individuals of all cultures in remembering their ties to the earth. 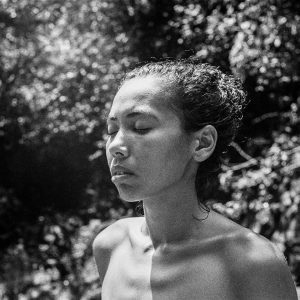 Growing up off the grid in Maui, Hawai`i forever imprinted in her the importance of reciprocity through indigenous world – view. She feels raised by wild spaces and intimately tied to Honua, our island earth. She is a Spiritual Ecology Fellow, and has served twice as a youth delegate to the United Nations Climate Change conferences (COP). Her work on the front-lines of international climate justice has forever connected her to the lives of those most impacted by climate change and extractive based industry. These are the foundational pieces that fuel her as she observes the radical disconnect that most human beings experience from our only living habitat. Earth Is `Ohana is Kailea’s personal response to the many stories that have and continue to shape her.